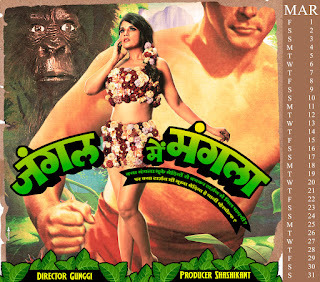 What does “Paapi Pappi”, “Maneater”, “Mard Ko Dard Hoga” and “Chatri Ke Peche Kya Hai” have in common? 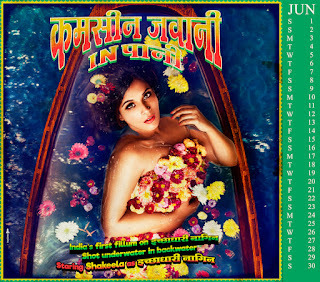 They’re each representing a different t month in this one heck of a unique calendar that the makers of the Shakeela biopic have presented to the world. This year of 2019 got even more interesting as the 12 months of The year will now have a quirky visual representation for each month. 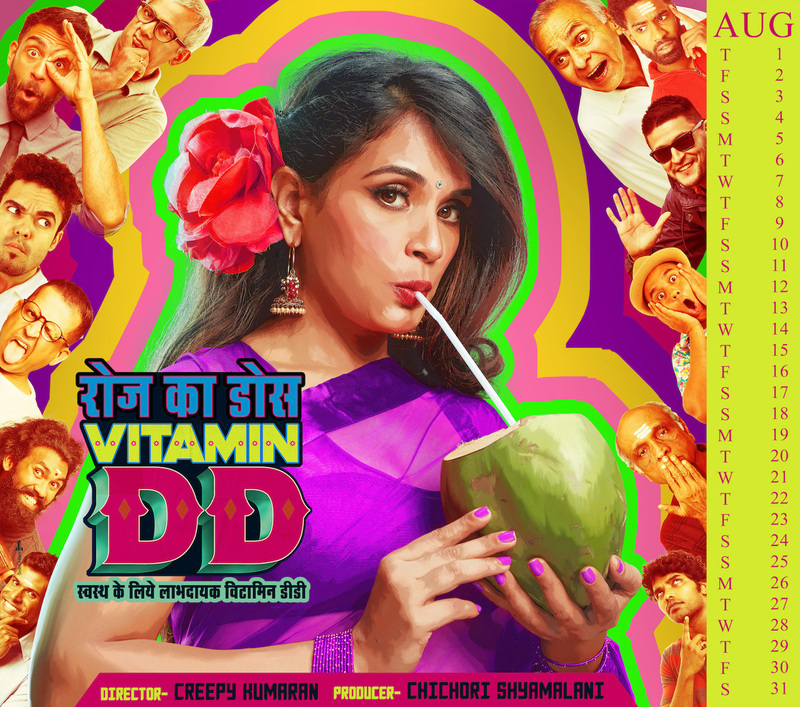 The poster has been designed as a fictional movie poster for each month with hilariously cheeky titles and Richa in a different look for each, as a ode to the pulp movies of the late 90s, the era in which Shakeela herself dominated the screens. 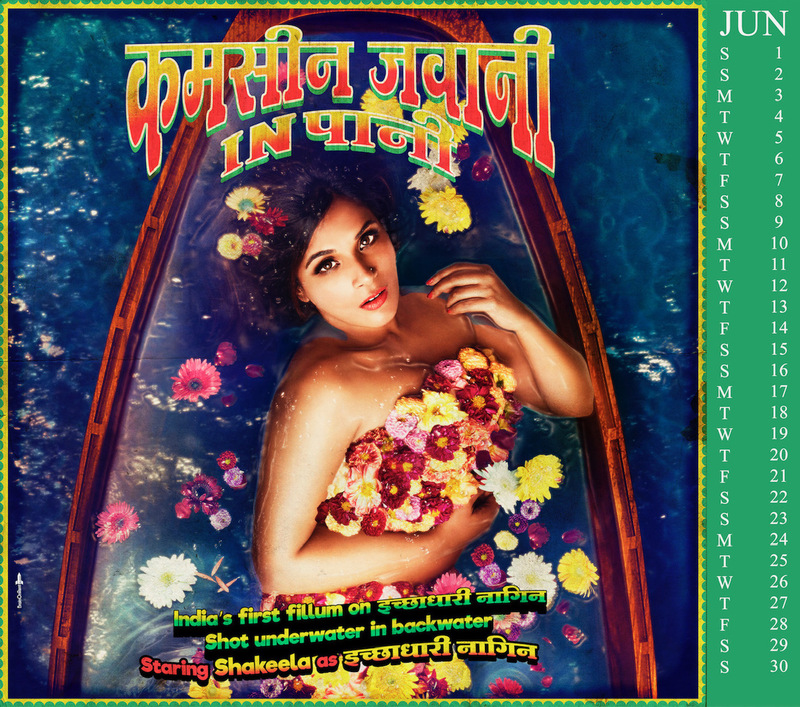 Based on the life of the adult film star of the south film industry, the film helmed by award winning director Indrajit Lankesh becomes the first film to have a calendar of its own. Speaking about the calendar, Richa said, "The idea of the calendar was to create something that was tongue in cheek and funny. It’s an homage to the those pulp films of the 90s that all have seen visuals of especially posters. These posters have been intricately thought through with the intention of invoking a funny reaction from the audiences and bringing a smile to their faces. I hope people get the humour in all of this. It’s a fun concept and the calendar is something that works well for the film given its retro feel. Speaking about the film, she continued saying, "When I first heard the story when Indrajit told me about the script I was amazed to know how cinematic her life is. She was an unapologetic person who never apologised for her choices. She empowered herself and did things in a business which was back then a largely male dominated business"
Adding to her, director Indrajit Lankesh, said, "This calendar is extremely vibrant and colourful. 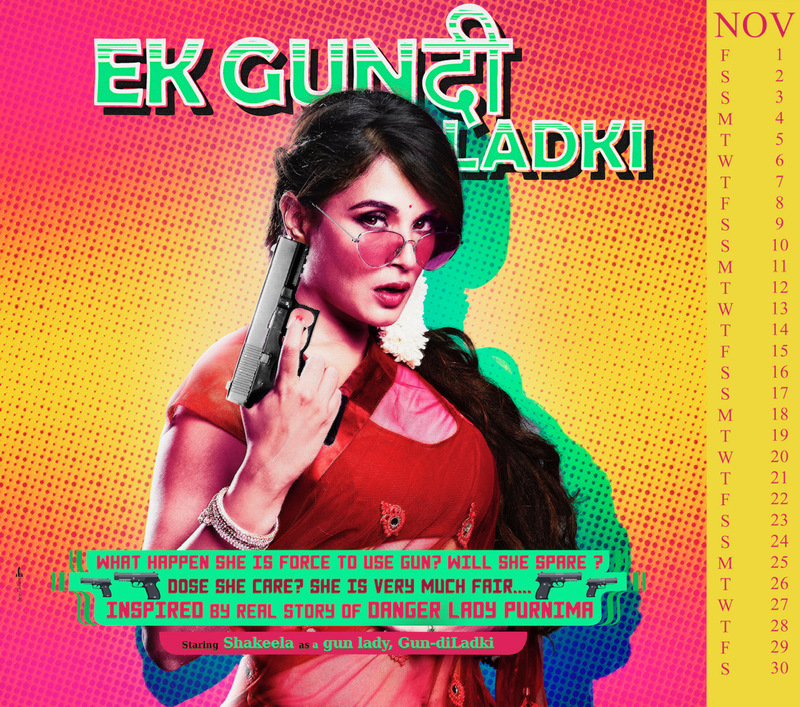 Richa and the team have put in great efforts to put this calendar together and its extremely colourful and fun. Richa was always my first choice for the film, as it needed a great actor to play the life of Shakeela on screen and I am very happy with the film and I am waiting for the audiences to see it too". The film will be releasing this summer and has been produced by Sammy's Magic Cinema and Yoddhas Entertainment.